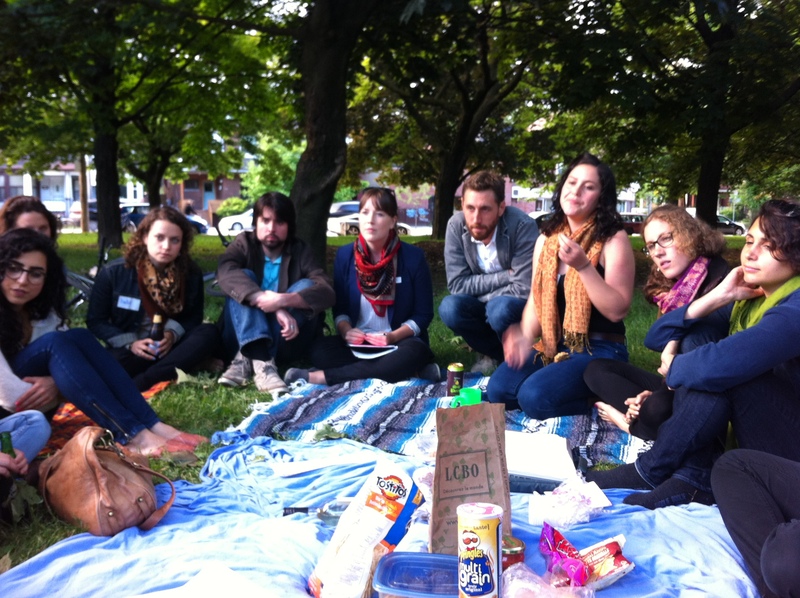 At our last Salon we chatted about Baby Boomers vs Gen Y in Trinity Bellwoods Park. Click here to see the findings. Mmmm, chips and cider. Could we look more attentive? This entry was posted in big ideas, collaboration, cooperation, design, findings, policy reform, public policy, youth. Bookmark the permalink.